Login to Accelerated Reader using your child's username and password. This will enable you to see how they are progressing towards their reading targets and how well they are doing in their quizzes. Clicking the link below will allow you to check and see if the books your children read at home are listed with Accelerated Reader. 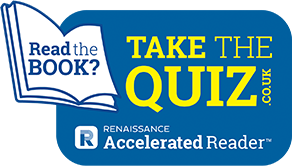 Try an Accelerated Reader quiz for yourself by clicking the link below.